Leaning across the table and taking her hands in mine, I kiss each of them and then whisper so only she can hear. A fierce blush spreads across Amelia’s cheeks, and a giggle escapes her. She covers her mouth, but it’s loud, and a few tables close to us turn in our direction. The challenge has been laid on the table, and she’s not backing down, uncrossing her legs for me and scooting closer. Amelia’s words are interrupted by a camera flash. I knew things were too good to be true. There are three reporters in the lobby taking pictures as Charles attempts to hold them back. They’ve killed my hard-on, but that also means we can leave now. 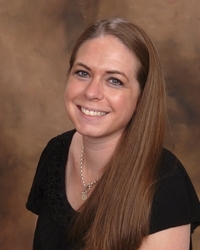 An award-winning romance author, Rachael is a midwest girl (yes, they say she has an accent but no, she doesn’t hear it) who loves to create amazing stories that tug at your heart strings. Keep your tissues handy. 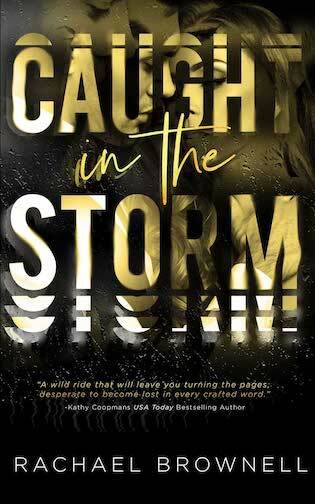 -Enter to win a SIGNED PAPERBACK ARC of Caught in the Storm!